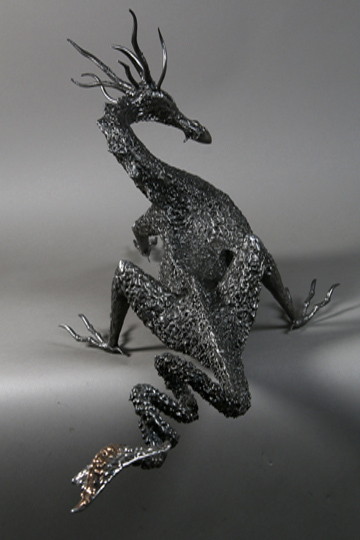 Another dragon sculpture! This one is a bit of a beast though at 115cm long and weighing 25kg ...they are definitely getting bigger! 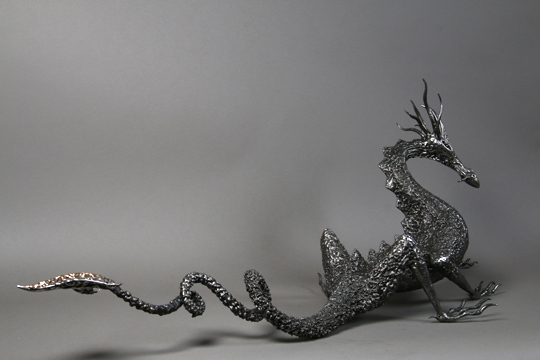 I make these sculptures by carefully welding bits of steel together and use a range of techniques to create the different textures seen in the dragon's skin. 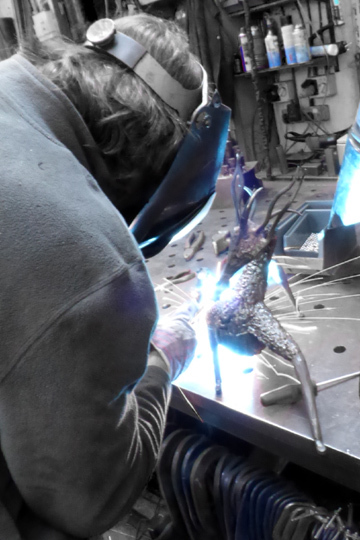 The welding arc generates an intense heat which melts and darkens the metal. 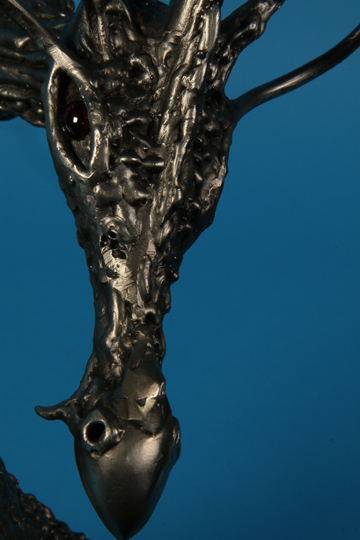 I use a wire brush to selectively burnish this and add brighter highlights to its texture. 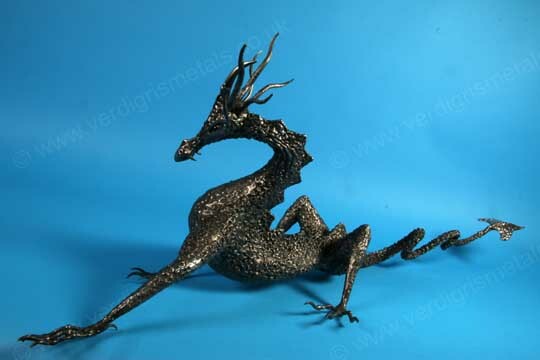 However, I decided to use polished bronze and stainless steel for his tail to provide a counterpoint to the darker body. Garnet gemstones are used for his eyes and must say I'm really pleased with the way these bring him to life. 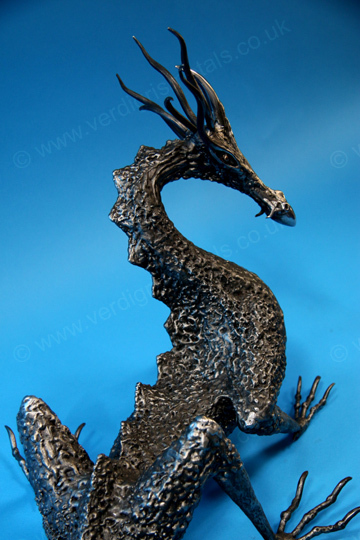 This sculpture is available for sale. Please contact Verdigris for more information.